Husqvarna riders have claimed winning results in two out of three classes at the 2017 FIM Junior Motocross World Championship finals in Estonia. TC 125 powered Gianluca Facchetti has been crowned 125cc Junior World Champion while TC 85 mounted Eddie Jay Wade secured the 85cc Junior World Championship crown. Showcasing the brand’s robust presence in top-level Junior class competition, Husqvarna riders filled all but one of the podium spots in these two classes. Putting in a convincing weekend-long performance in Tartu, TC 125 mounted Gianluca Facchetti topped his qualifying moto before going on to claim two emphatic victories in the final 125cc class motos. Topping the podium in Estonia, the Husqvarna Italy supported rider became the 2017 125cc Junior World Champion. Involved in some great battles in both motos with Facchetti, Rockstar Energy Husqvarna Factory Racing rider Mikkel Haarup secured a strong runner-up spot in the championship. Earning second in the opening 125cc class moto and then third in the second race, the TC 125 mounted rider assisted Denmark in topping the Nations Classification. 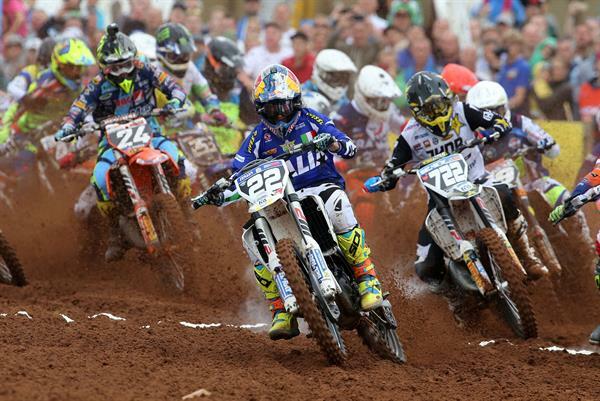 In the 85cc category, Husqvarna mounted riders secured all three spots on the podium in Estonia. Securing a pair of victories at the Tartu track, Britain’s Eddie Jay Wade came out on top to be crowned the 2017 FIM 85cc Junior World Champion. Pushing the Brit in both motos was TC 85 mounted Noel Nilsson, with the young Swede settling for a strong runner-up overall result in the class. Collecting 4-3 results in Estonia, Husqvarna mounted Kay Karssemakers earned a podium result finishing third overall in the 85cc class. In the 65cc category, Latvian Kirils Maslovs collected 12-7 finishes to secure eighth overall and become Husqvarna’s best-performing rider in Estonia.